Logs that have paint on them instead of stain often cause log home owners big headaches. Paint is not the best choice as a finish because it does not allow the logs to breathe. A quality log home stain is your best choice to ensure healthy logs and longevity. 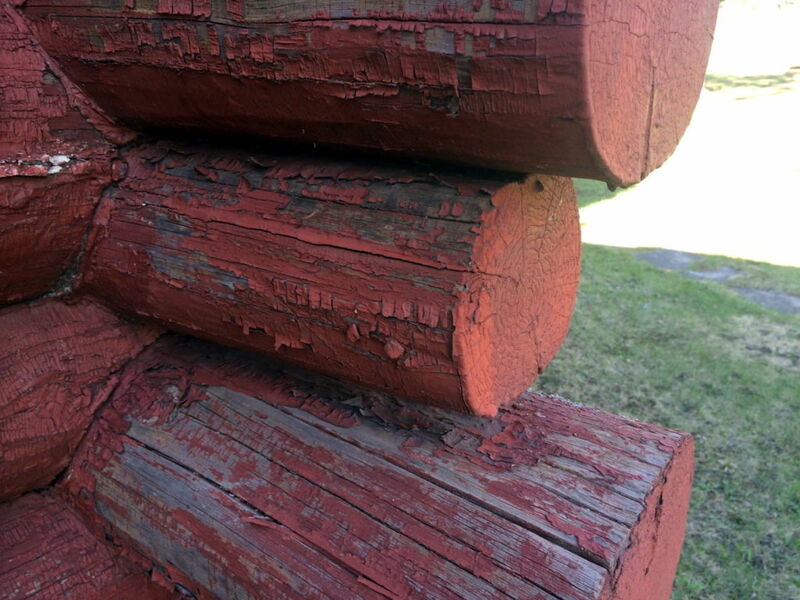 Painted logs can end up looking like this. What a mess! Don’t despair. We can help. Manufacturers continue to improve log home stains. What used to be considered the “best you can buy” even as little as five years ago is now considered a thing of the past as new and improved stains enter the market. If you have a log home that has paint on it rather than stain, you might want to consider having it blasted off so you can start over with a quality log home stain. Not sure what is the best solution for your log home? Contact us and speak to a professional who can help you select the right finish.